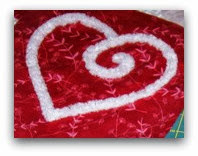 Today's tutorial features the unusual technique of DIY chenille strips for applique'; a bonus tutorial in my I ♥ Applique' series for Riley Blake Designs' "Cutting Corners College". I remember sleeping under a chenille bedspread at my Grandma's house. Soft, fuzzy caterpillar-like channels were stitched into a design on the blanket. And interestingly enough, "chenille" is actually the French word for "caterpillar." Today, we'll make our own chenille strips, then use them to appliqué a design and finish the edges for this great little pillow ~ a vintagey technique using Lori Holt's adorable vintagey "Daisy Cottage" line. In addition, Riley Blake Designs has a wonderful collection of SOLIDS that work perfectly for this project! A lot of the time, my inspiration comes from the fabric itsself, and this project is no exception. And you'll be amazed at how EASY it is from start to finish! Just takes a few supplies, and a little (ok, maybe a lot) of elbow grease! To make chenille strips, CUT the solid fat quarter into a square. FOLD in half, diagonally; we will be creating bias chenille strips. STITCH channels, 1/2-inch apart, beginning about 1/2" from the fold line, with matching thread. I used my quilting guide to gauge the distance, or you may wish to mark the lines. PRESS, then CUT between stitching lines, into 1/2" strips. between 17" to 18" square. DRAW or TRACE a design on the right side of the print. The other two fat quarters will become the backing. Begin to STITCH, backstitching at the beginning and end of each strip. ALIGN the stitched line over the drawn lines to apply appliqué strips. These bias strips are flexible and bend pretty easily around curves. If you'd like, you can add a few pins to secure. You may also use a Glue-Stick! If you need to add another strip, make sure to overlap strips about 1/4". Keep adding strips until your design is complete. Another nice thing is, these strips are very forgiving. Don't stress if the ends don't line up exactly! It will all "come out in the wash" - literally! You can BRUSH out the design now, or save that step for later. A little spritz of water will make the fraying easier. in half horizontally. Overlap a few inches with raw edges toward the outside. Place the pillow top and back WRONG sides together, adjusting and trimming sides to make square. PIN in place. STITCH through all layers, using 1/4" seam allowance. STITCH through all layers, using 1/4" seam allowance. Add remaining chenille strips to raw edges of pillow; front and back. STITCH along center stitching line as you go. to join strips. You may use up all of your strips, even the small pieces. expect some fraying. TRIM off. 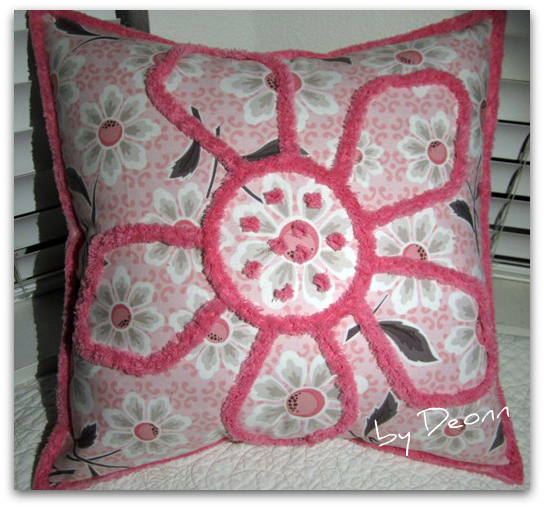 Add an 18" pillow form, and your Chenille Appliqué Pillow is complete! 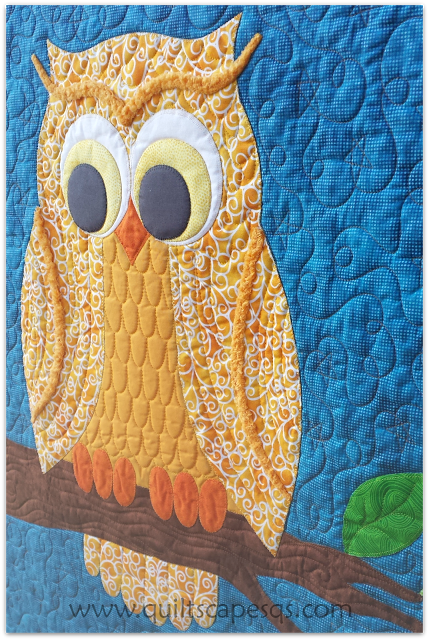 NOTE: If you plan to quilt your pillow top, it may be easier to manage if you save the step of brushing out the chenille until after the quilting is complete. Use this technique to outline blocks or add an accent. On this owl, I tapered the ends on his eyebrows and wings to about 1/4-inches wide. These chenille strips are so flexible, I've also used them to stitch words, hair, leaves and other accents. Chenille strips worked great on this quilted pillow to outline the appliqué flower petals, create a center of the flower and finish the edges. Hope you enjoy trying this fun "appliqué-tion" to add a little furry dimension to your next project! This is the cutest idea. I can't wait to try it! 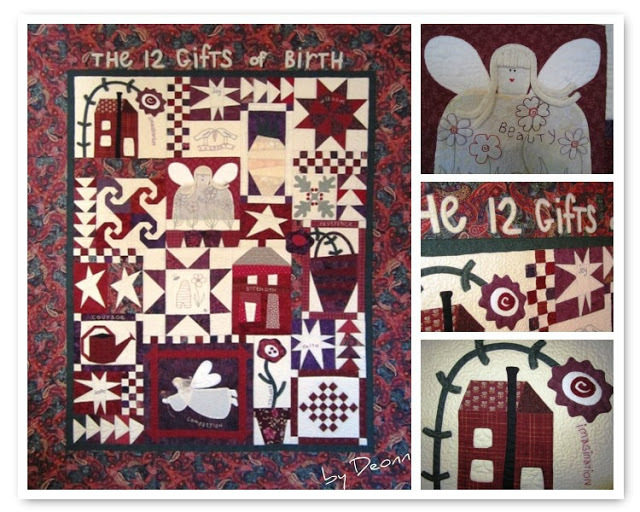 Wow, what a lovely tutorial; I can just imagine what a delightful soft touch the Chenille adds to these projects. Thank you so much for linking up with Tips and Tutorials Tuesday! Thank you for sharing your technique Deonn! I am going to try and make rectangular pillows for my nieces, with their names on them. Do you have any suggestions on how to figure out what size piece of fabric to use when sewing the pillow-case closed in this manner? Cut two backing pieces with the height the same as the pillow and the width at least 4 inches longer and fold in half. This will give a 4-inch overlap in the center.